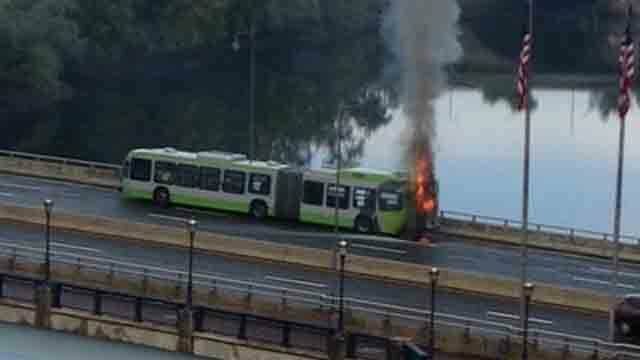 CT Transit bus 1101, a 2011 Nova LFSA hybrid, caught fire on the Founders Bridge between Hartford and East Hartford. It was reported that the fire started in the engine compartment. This bus is the one that is painted in the Fastrak scheme to promote the Hartford - New Britain busway which is scheduled to open early next year.